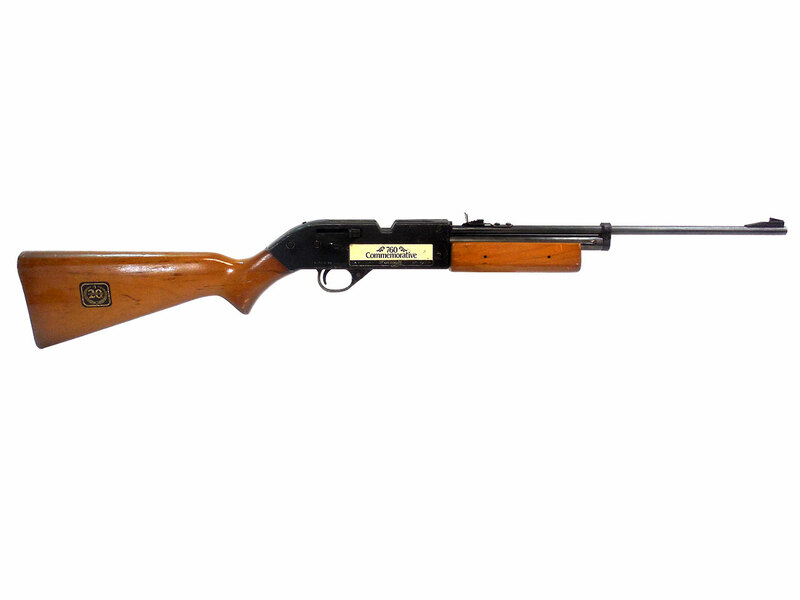 This is a 20th Anniversary edition of the Crosman 760. 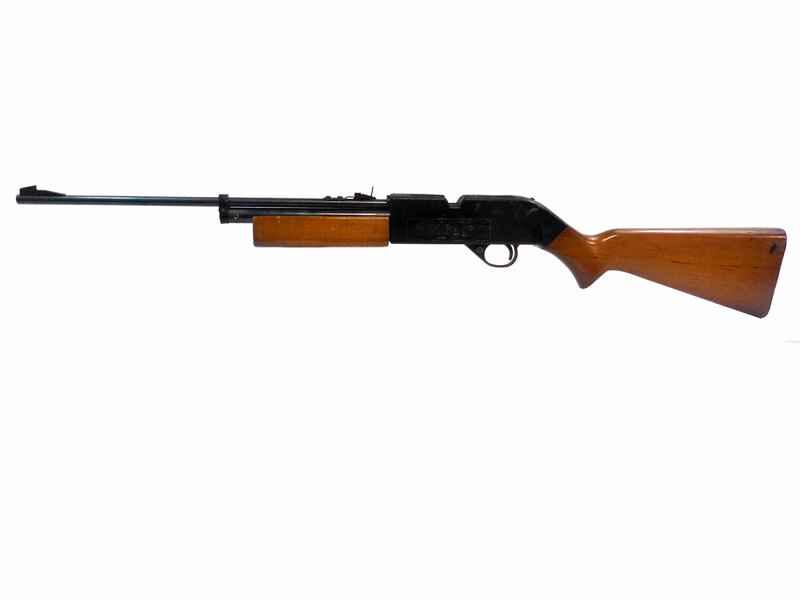 It is a multi-pump pneumatic .177 caliber single shot pellet, or BB repeater. It shoots both. 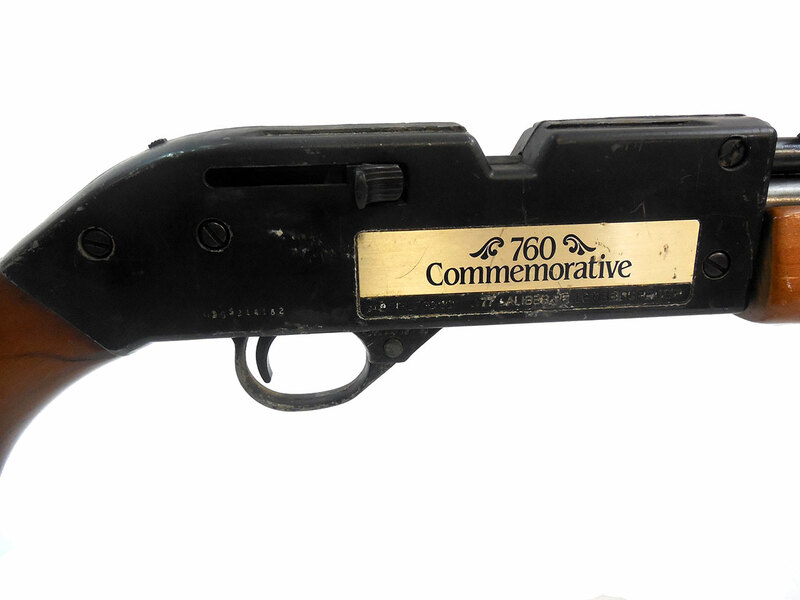 The anniversary logo on the stock is still in good shape. 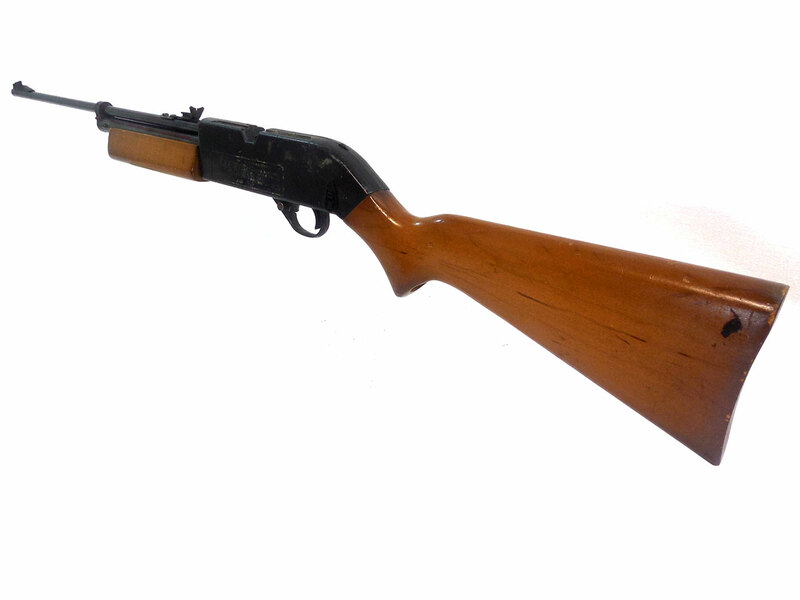 The wood stock and forearm are solid, but does have a little bit of wear to the finish. The gun metal retains about 85% of the original finish. This gun was cleaned, lubed, and resealed here in our shop. Velocity in our shop at 524 fps, so it’s still a good shooter. 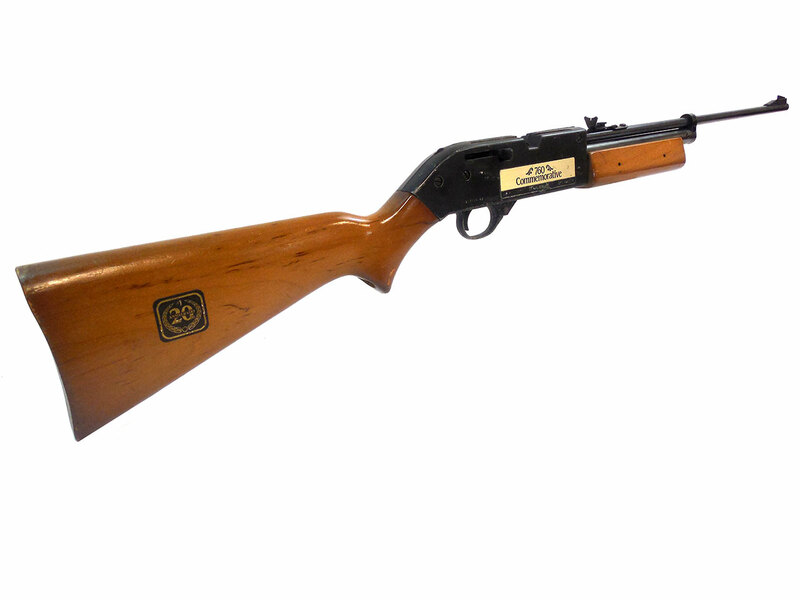 Great for plinking, or collecting.